Cuban-American author Humberto Fontova offers a history for Jesse Ventura on his hero Che Guevara in a column at Townhall.com. “I respect the fact that he would die for his convictions. So a mirror of Che Guevara has a profound place in my house. 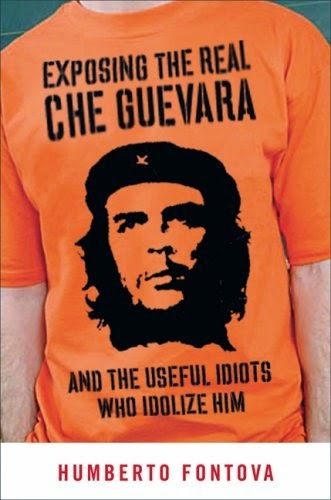 I’m not the least ashamed to say that when I go to wash my hands I look at Che,” gloats Jesse Ventura. "The jury saw the evidence,” gloats Jesse Ventura regarding his judicial victory over Chris Kyle’s widow. “And the jury found that I had been defamed….Chris Kyle did lie and Jesse Ventura told the truth. I am a victim here." Maybe it’s a coincidence that Jesse Ventura draws daily inspiration from a regime that jailed and tortured the most women political prisoners of any regime in the Americas —indeed, that introduced this Stalinist horror to the Western Hemisphere? Ventura is a shameless and wretched man who lost his way in life. Jesse Ventura, is a liar, briber, insulter, cheat, bully, and phony Navy SEAL. Ventura defrauded Minnesota to become Governor by lying about being a SEAL. Ventura defrauded the SEALS into thinking he was a SEAL who became Governor. Ventura Wifey Terry lied under oath to make Ventura look human to the jury. To try and make Ventura look human his attorney's put his Wifey Terry on the stand. military personnel, and she lied when she said has never known him to lie. and SEAL Commander Salisbury "puke" 2 times. In the video Ventura insists he was a SEAL and Wifey knew that was a lie. she lied to the jury about it and materially impacted their decision.